This was a bit of a difficult theme to do because there aren’t many resources online for it. However, I knew that I wanted to combine a Louisiana/Mardi Gras theme, so I ended up making it work with a bit of creativity. 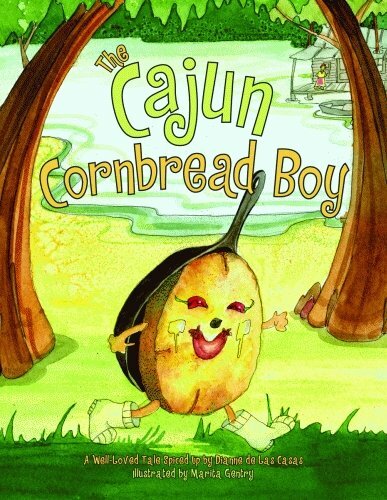 This is a cute story that is made even better with a bit of a Cajun dialect. The kids loved the mean mosquito and felt so sorry for the poor little crawfish! 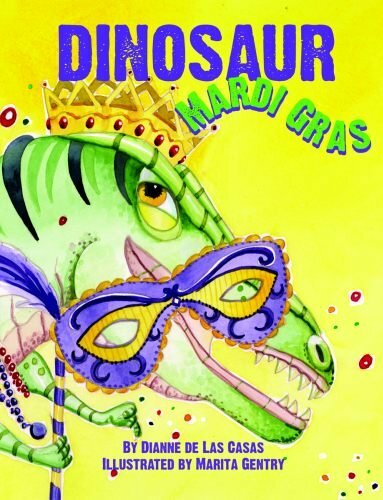 Then, we sang “Mardi Gras Masks” by Karla Thompson on The Perpetual Preschool. Make our masks, make our masks. So early Mardi Gras morning. Have a parade, have a parade. 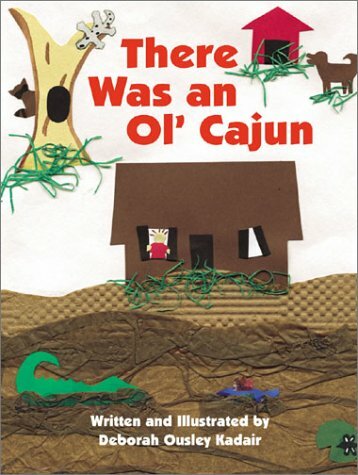 There Was An Old Cajun by Deborah Kadair. Instead of reading this story, I changed the pronouns from “he” to “she,” and we used my Old Lady puppet that I purchased on Amazon. 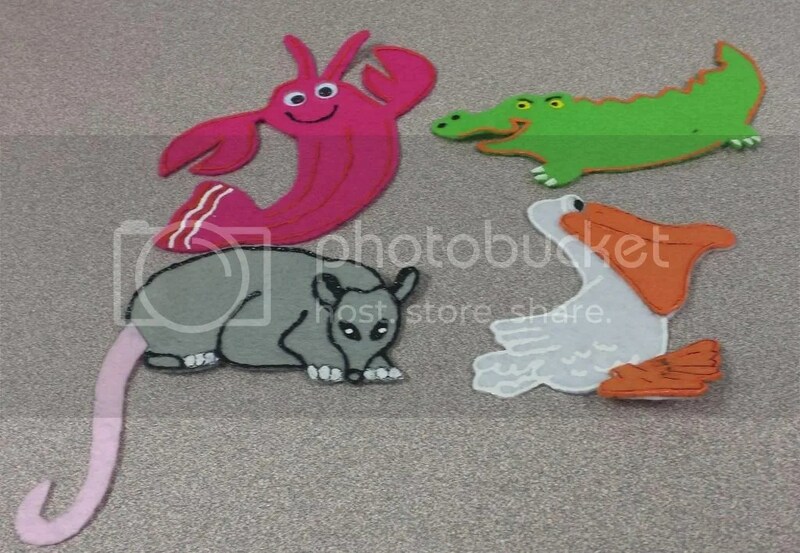 I just found pictures similar to those in the book (I just found any old fish clipart for the gar), cut them out, laminated them, and fed them to Miss Edna. This is a very cute twist on The Gingerbread Man. I loved the surprise ending, as did the kids! Opossum sees a king cake, and off she speeds! Three little Cajun friends wearing purple, green, and gold. Crawfish wants a mask and runs off to where they’re sold. Gator hears some Zydeco, and off he goes to trot! This book is a bit long, so I had to cut it down a bit, but it’s pretty cute and repetitive so the kids can join in. Our last song was “The Wheels on the Float.” I got the original idea from The Perpetual Preschool, but I came up with my own version. The wheels on the float go round and round, round and round, round and round. The wheels on the float go round and round. Then, we sang our “Goodbye, Goodbye” song, and that was it! 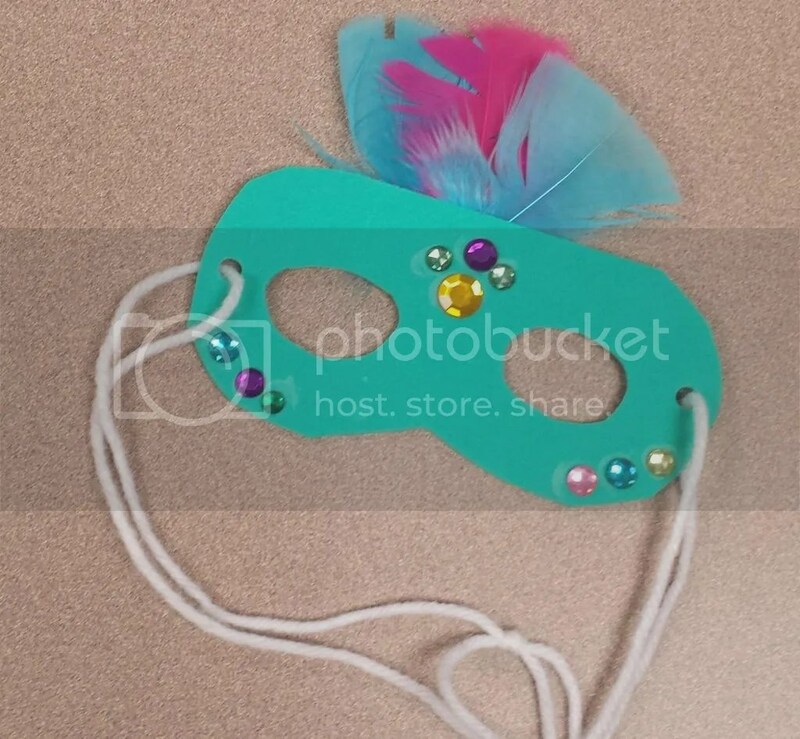 Of course we had to make masks for our craft for walk-in story time this week!